TGIF Friends!! It’s been a crazy week. It started off with Breaking Bad ending. Then we had the beginning of Healthcare Reform. And ended with the government shutdown. No big deal. 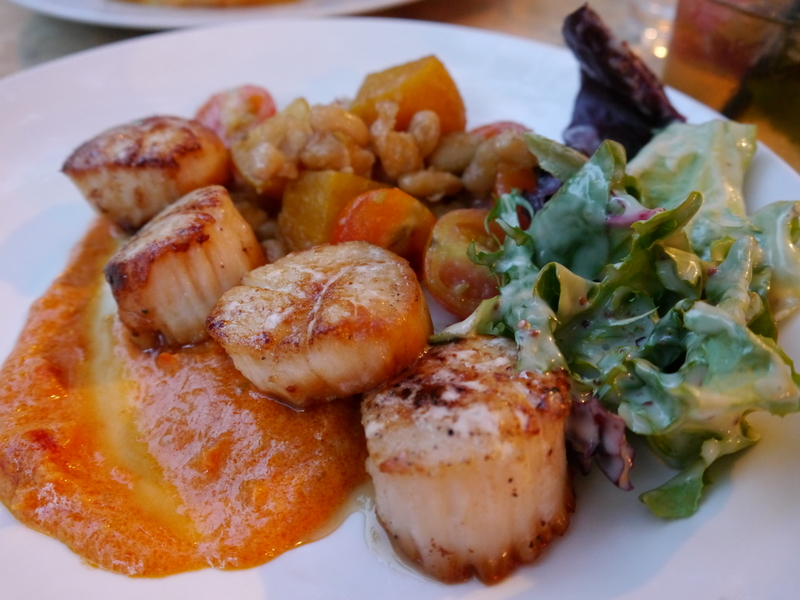 Sounds like the perfect time for some delicious fall comfort food! 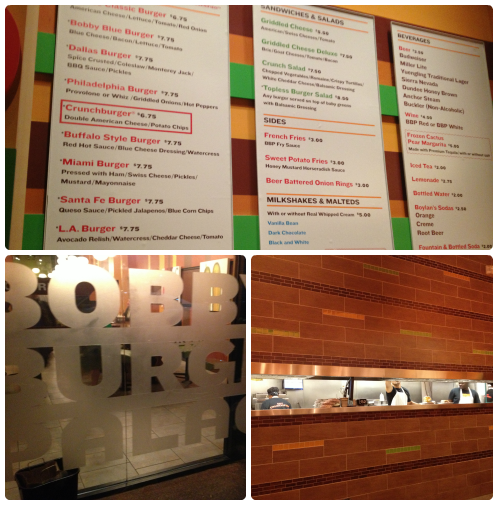 These burgers have been on my list for a few years now… I was pretty psyched to try them out! The original recipe is for Chicken Burgers, but I had a ton of ground turkey from the market this week so I decided to use that instead. I am just loving the fall flavors in this recipe and the creativity too! Yum! 1. 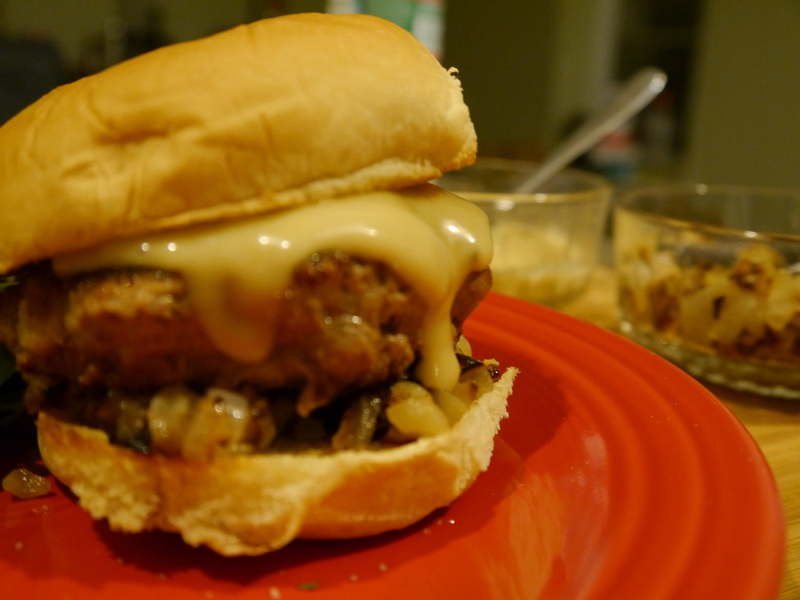 Mix the secret sauce: Whisk the mayo, 2 tbsp maple syrup, and dijon mustard together in a small bowl and set aside. 2. Make the topping: Heat 2 Tablespoons of Canola Oil in a skillet over medium heat. Saute the onion and 1/2 the apple until soft- about 7-10 minutes. Set aside. 3. 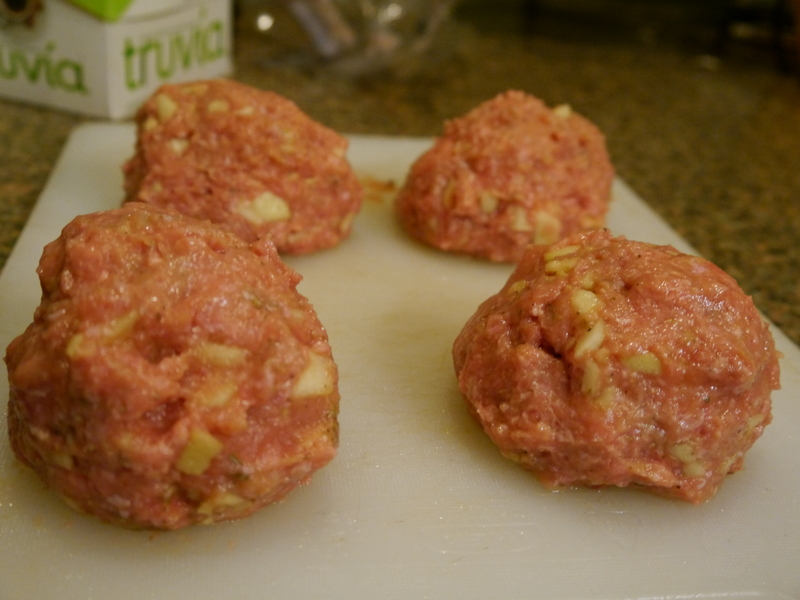 Make the burgers: Mix the rest of the raw apple, ground turkey, 2 Tablespoons Maple Syrup, Italian Seasoning, Egg, Salt, and Pepper in a bowl. Do not overmix. 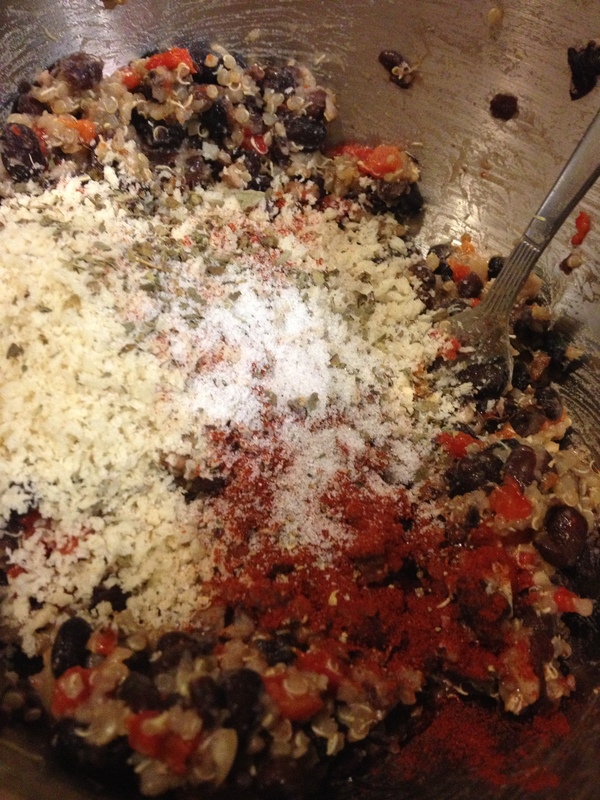 Divide the mixture into quarters and shape into balls. The mixture will be loose but don’t worry! 4. 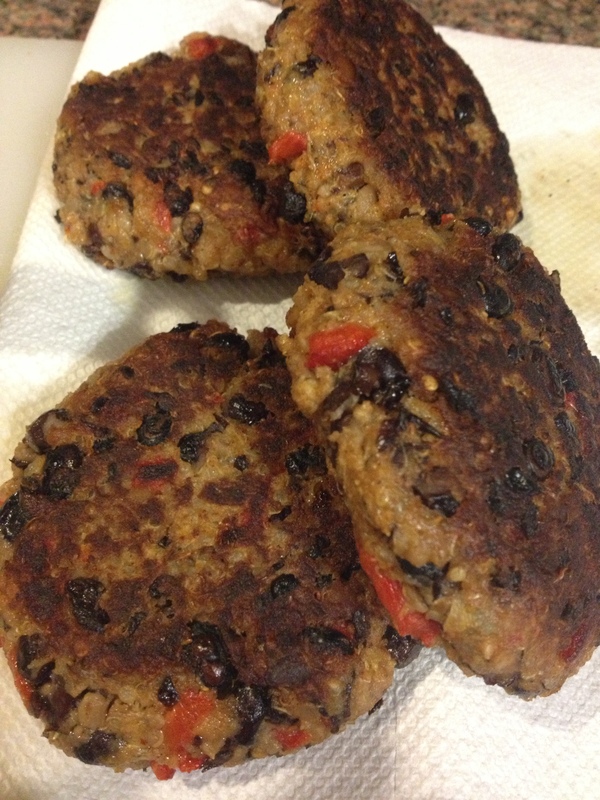 Cook burgers: Heat 1 Tablespoon of Canola Oil in a large skillet over medium heat. 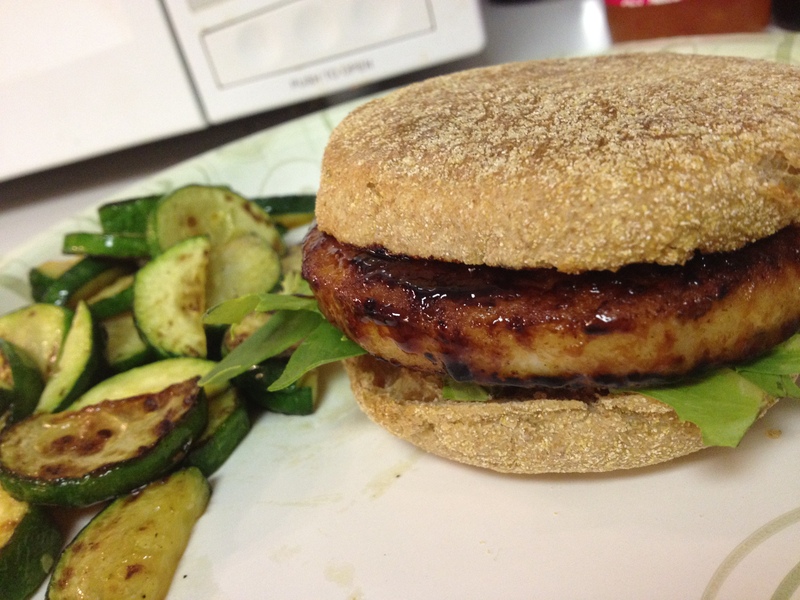 Place the turkey burgers in the hot oil and flatten with the back of a spatula to create a patty. Cook for about 7-8 minutes and flip, cooking the other side 7-8 minutes. Don’t press down on the spatula once you have the patty shape created. 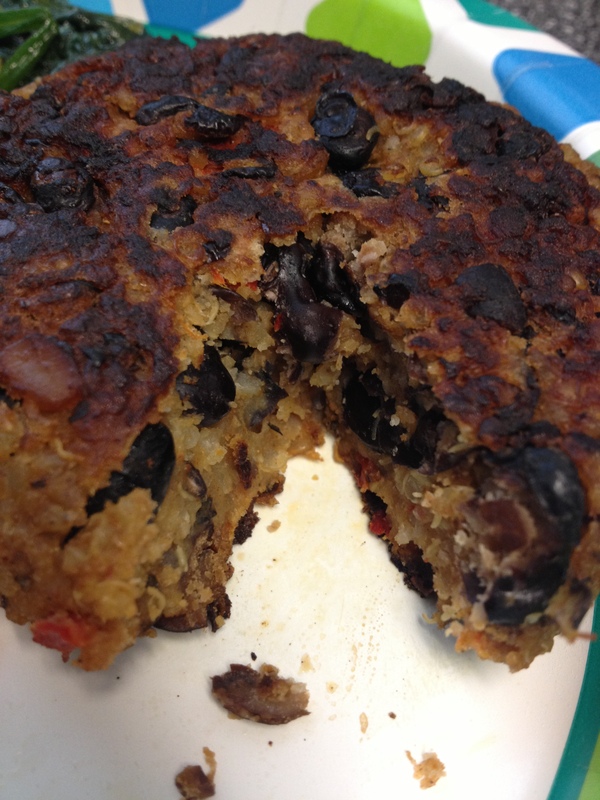 Remove patties and place on a plate with paper towel. 5. Assemble Burgers: While you are cooking the burgers, toast the buns. Place the cooked turkey burgers on the buns. 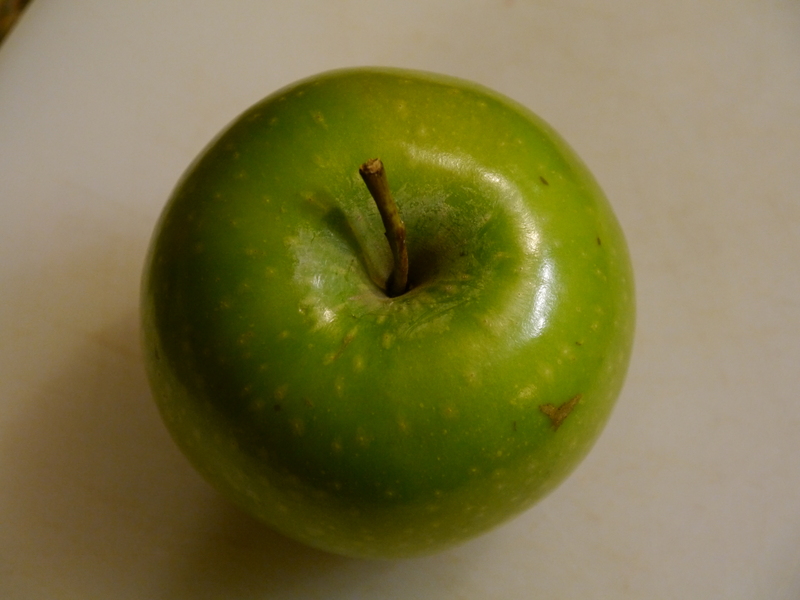 Top with grilled apple and onion mixture. Top with a spoonful of secret sauce. Enjoy! 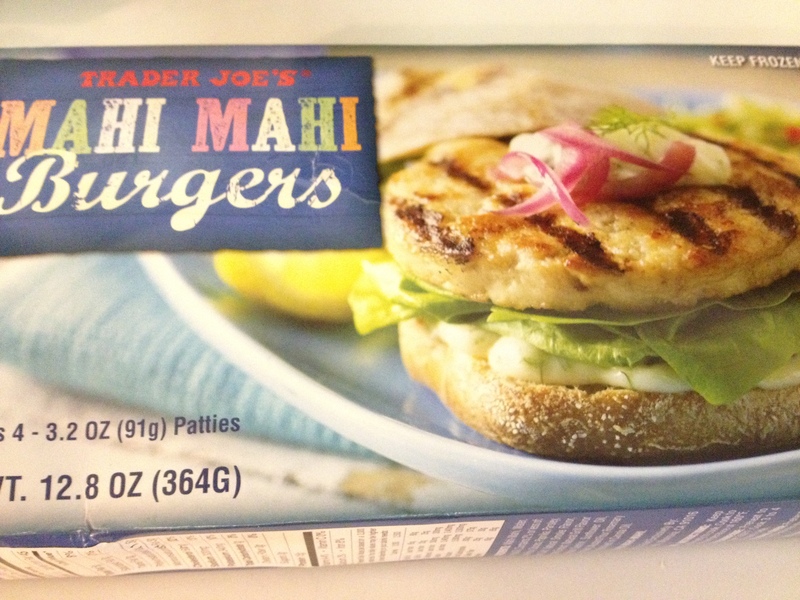 I’m pretty sure these were the juciest turkey burgers ever! They were perfect. Dave and I ate them for dinner and then again the following day for lunch. They were even good leftover! 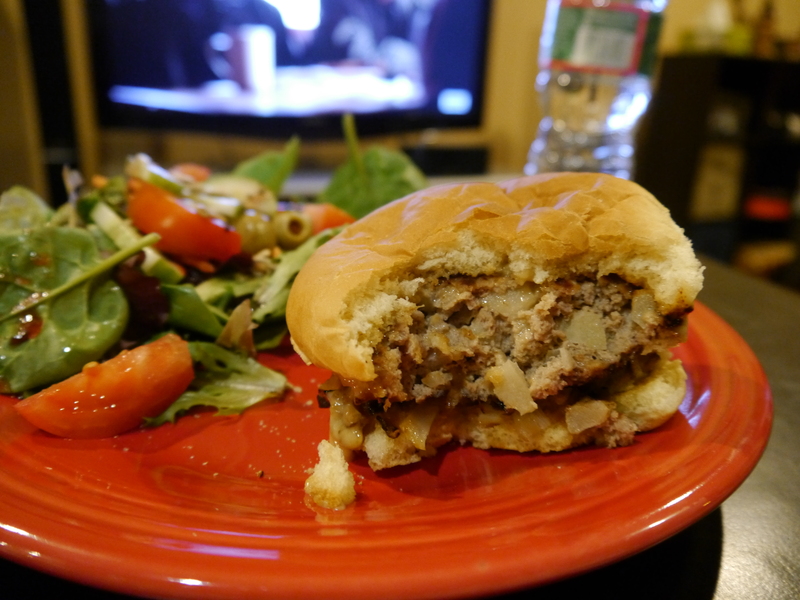 I was skeptical before the patties were cooked, thinking there was no way that they would be juicy and there was certainly no way the mixture would stick together while it cooked… but they did! 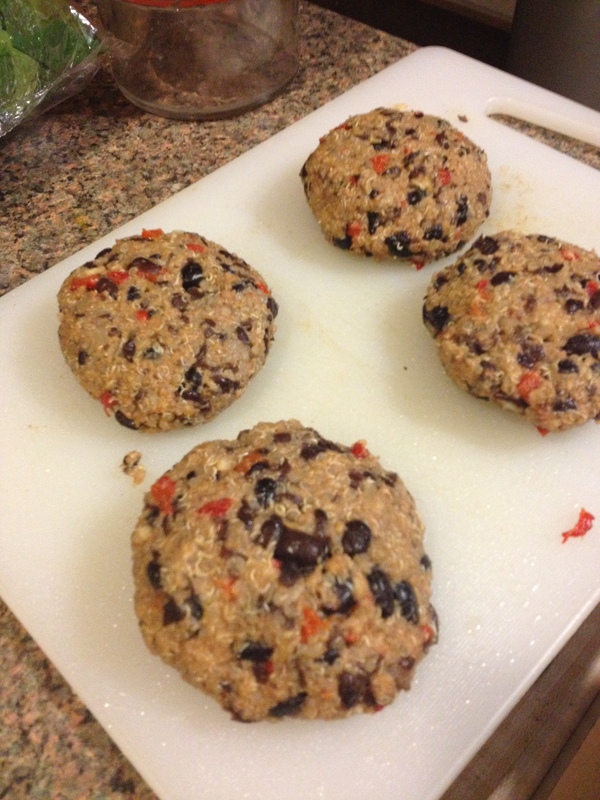 I can’t wait to make these again… they were absolutely delicious. I think we’ve found our new favorite neighborhood spot. Okay, so it’s not quite in our ‘hood but it’s close enough and I KNOW we’ll be there all the time. First of all, the atmosphere was great. Casual but comfortable with dark lighting, wood tables and a long bench going down the side of the restaurant. There are also a few tables in the window looking out onto the street which are probably a great spot to people watch for brunch. The service was also wonderful, with our waiter checking on us pretty often and other staff re-filling waters and clearing places when necessary. HUGE plus. One of the reasons I absolutely love this restaurant is the draft beer list. It was so hard to pick with an entire menu page of current drafts on tap… but Dave and I decided to get two pretty interesting choices: the Tres Blueberry Stout by Dark Horse Brewing Co. & 21st Amendment’s Sneak Attack. I really enjoyed both! The beer list also includes what’s coming up next to make you want more… what a smart move! We ordered the Pierogie of the day which was a potato and caramelized onion base stuffed with Buffalo Chicken. We obviously had to try it out once we heard about the buff chick. 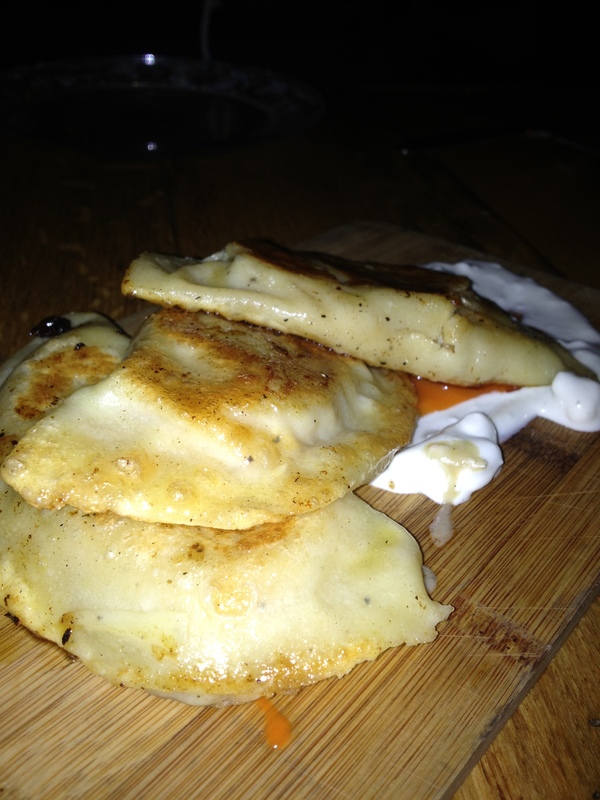 The Pierogies were perfectly hot and crispy and were resting on a plank topped with hot sauce and blue cheese. The filling was sooo tasty and it was fun to share and dip into the sauces. We were left seriously wishing for more, since there were only three! For our meal, both of us ordered the same thing: The Porker Burger. We RARELY ever order the same thing at a restaurant. I typically convince Dave to do a splitsies with me so I can try more things. LOL. 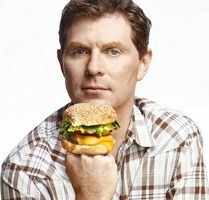 Well, once you hear what this burger involves, I think you’ll understand too. 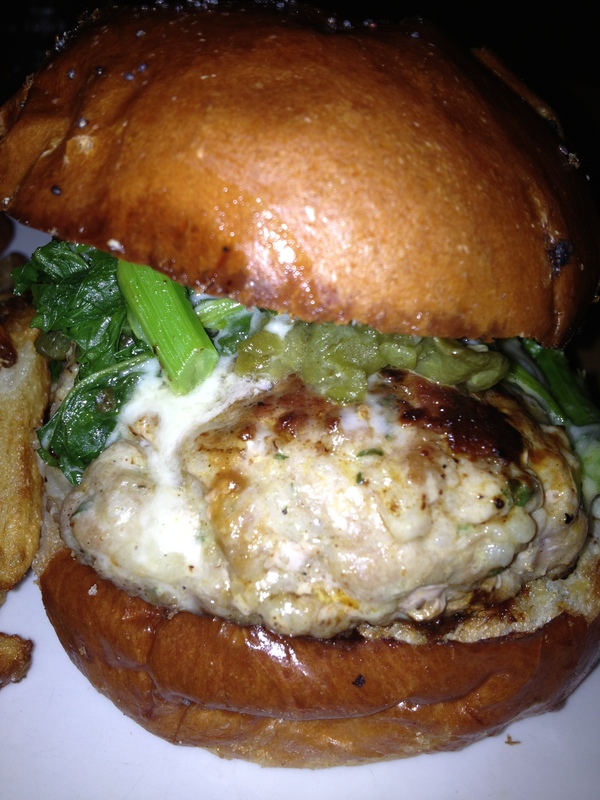 The porker burger was super yummy… it is a 24-Hr Brined Hand Ground Pork burger with roasted Long Hot Peppers, Broccoli Rabe, & melty Sharp Prov. 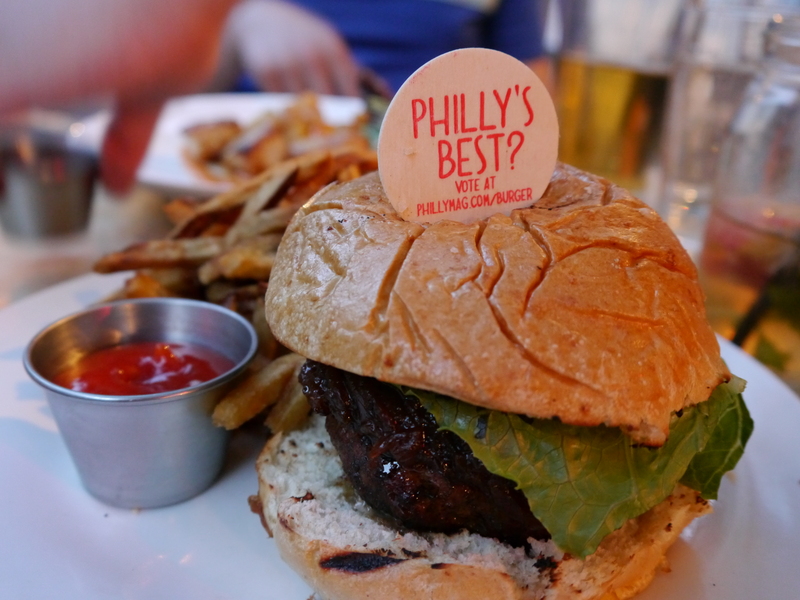 What an awesome take on a Philly classic, right? The roll was surprisingly the cherry ontop… covered in poppy seeds and so delicious! 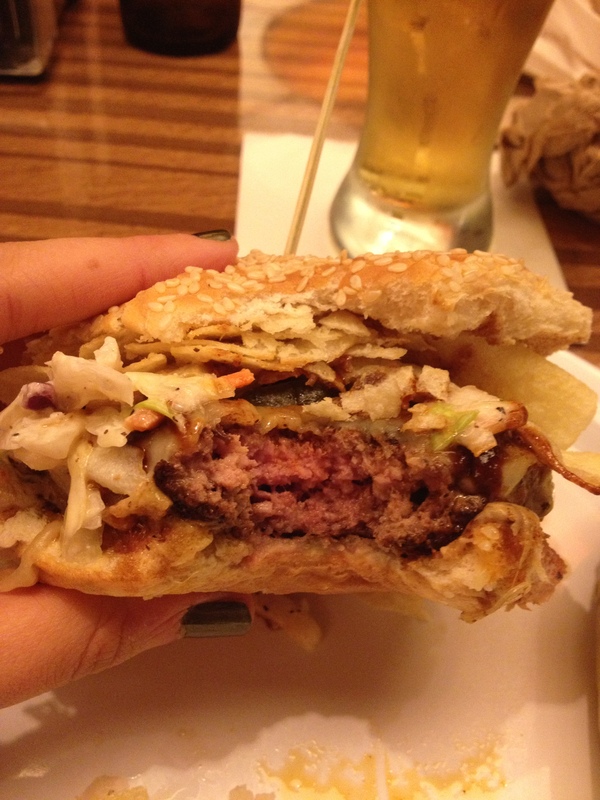 The burger also came with their house cut fries which were on par with everything else… YUM! I’m already trying to figure out the next time we can stop by for a delicious beer and to try out more food… their brunch menu sounds AMAZING!! Who’s in?! Crispy outside & soooo creamy inside! YUM! Amazing flavor combination going on here… You’ve got the yummy pork, the spicy peppers, bitter broccoli rabe, and creamy prov. All in one! Have you been to The Cambridge yet? 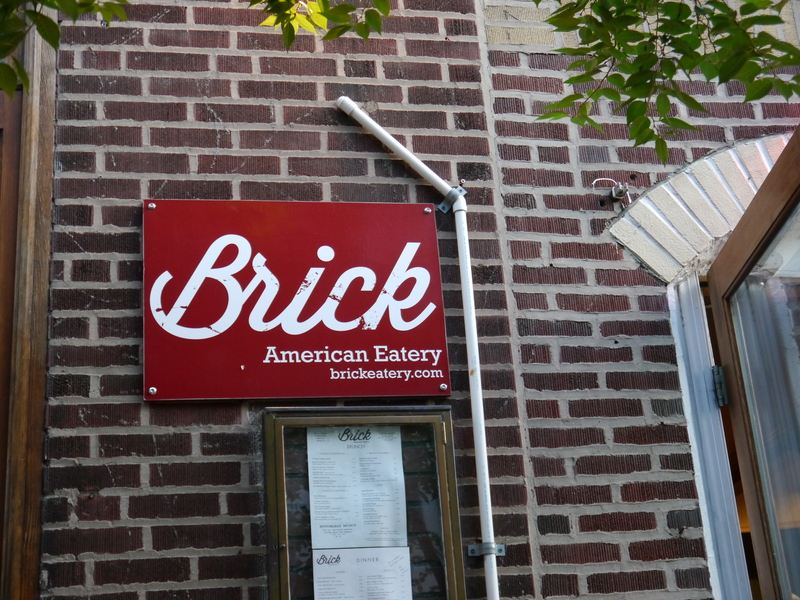 … or any of these other Philly spots?? A requirement of Dave’s when we decided to move was that we had to have a neighborhood bar. 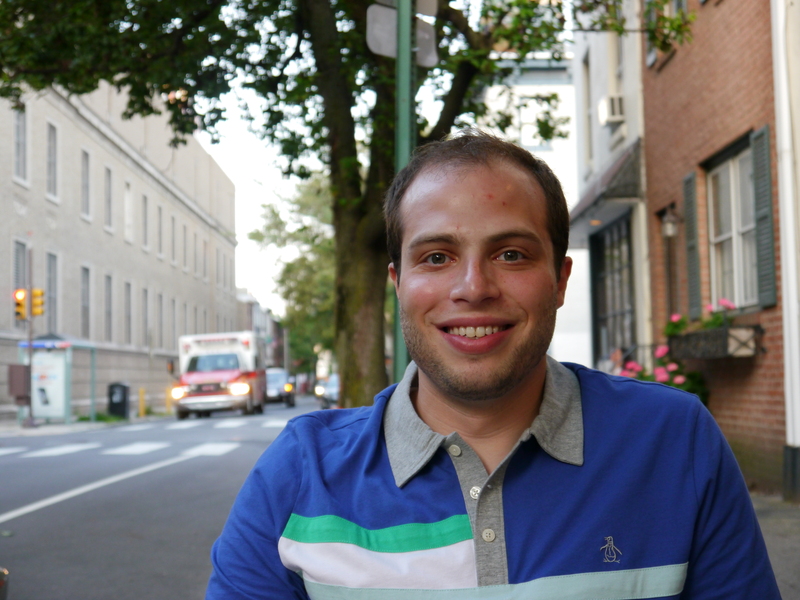 After living in a residential area for two years in his old apartment, he was ready to live somewhere he could walk home from. You know, a bar where everybody knows your name… that sort of thing. 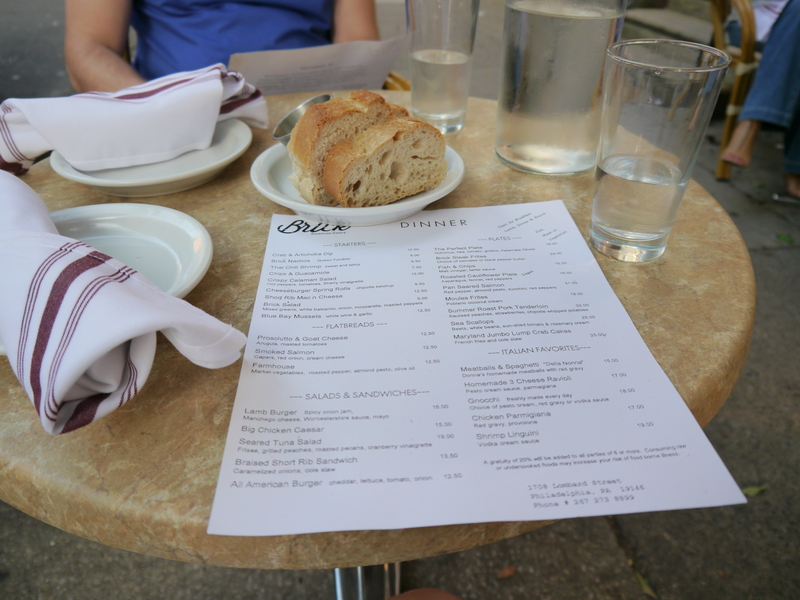 In the month we’ve lived in the city, we’ve found tons of great restaurants and bars in walking distance from our apartment. We’re loving the city life. Of course it took Dave going away for a boys weekend for me to discover what I think will be one of our very favorite neighborhood bars. Sorry Dave! We’ll just have to go back! 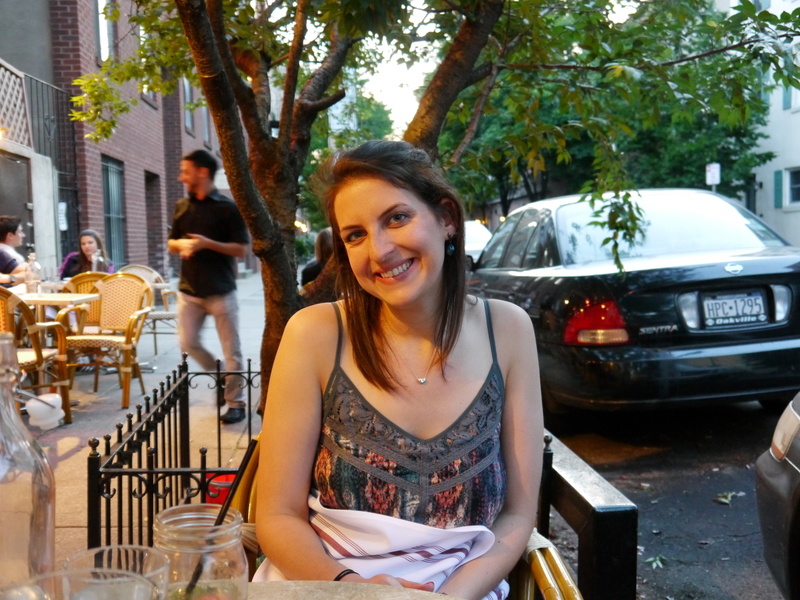 I took a walk with my friend Emily down the street to SoWe Restaurant and Bar for dinner this past weekend. We knew it was going to be a great place when I saw the specials written on a pig shaped chalkboard. We started the meal off with drinks from the cocktail list. Emily ordered the Fall Fiz (Vodka, Dried Cranberries, Ginger) and I chose to get the Gazer (Hendricks Gin, White Cranberry, St. Germaine, and Cucumber) at the recommendation of our server. We really liked both of our drinks. 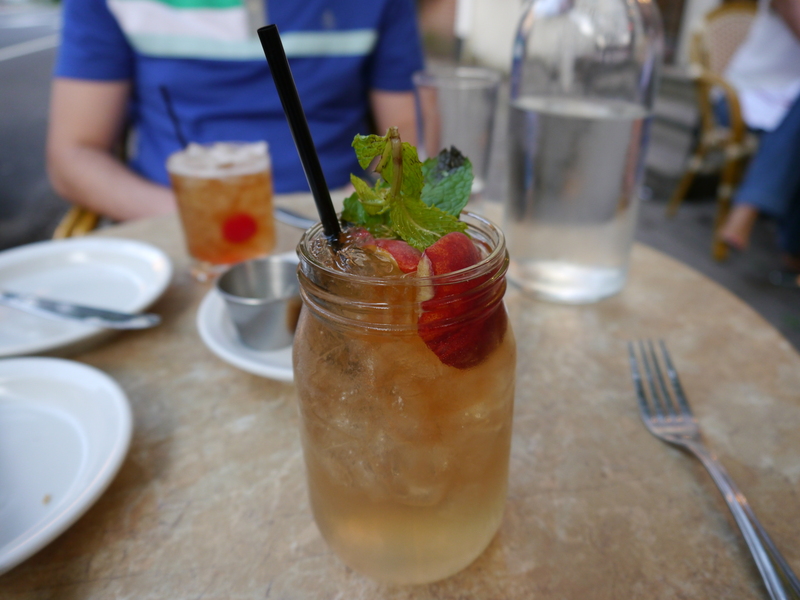 Both drinks were refreshing and not too sweet. They were pretty too, mine with a light green color and Em’s with bright red cranberries covering the bottom. For starters, we ordered the Brussel Sprouts and Sweet Potato Fries. 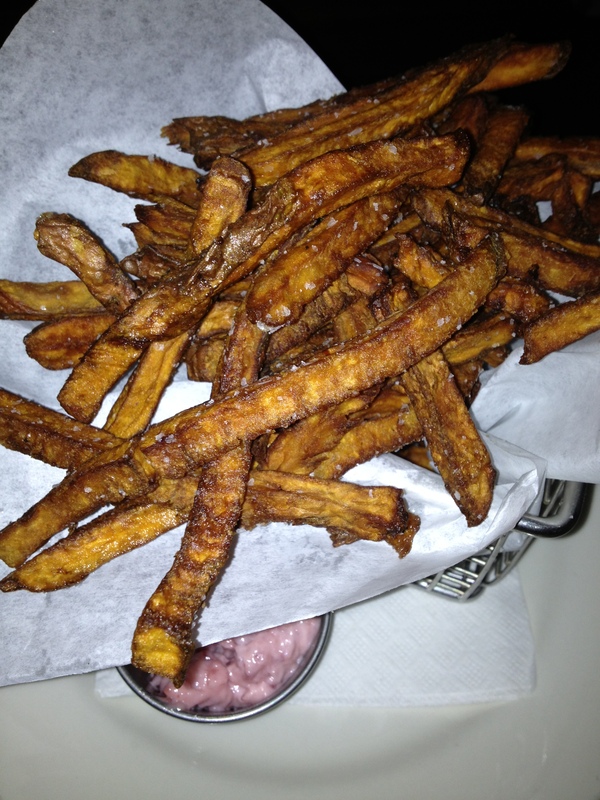 The fries were so good, fresh and cooked to perfection with sea salt and an amazing sweet maple dipping sauce. 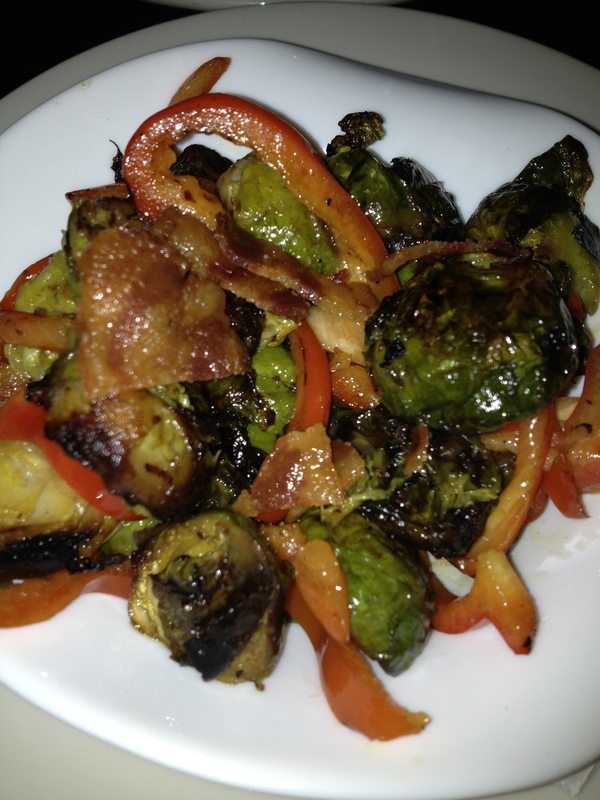 The Brussels are cooked with Bacon and Red Bell Peppers in Balsamic Vinegar. I could eat like three servings of these. YUM! Next up, Emily ordered the special appetizer of the night for her entree- Fish Tacos. They sounded too good to pass up! 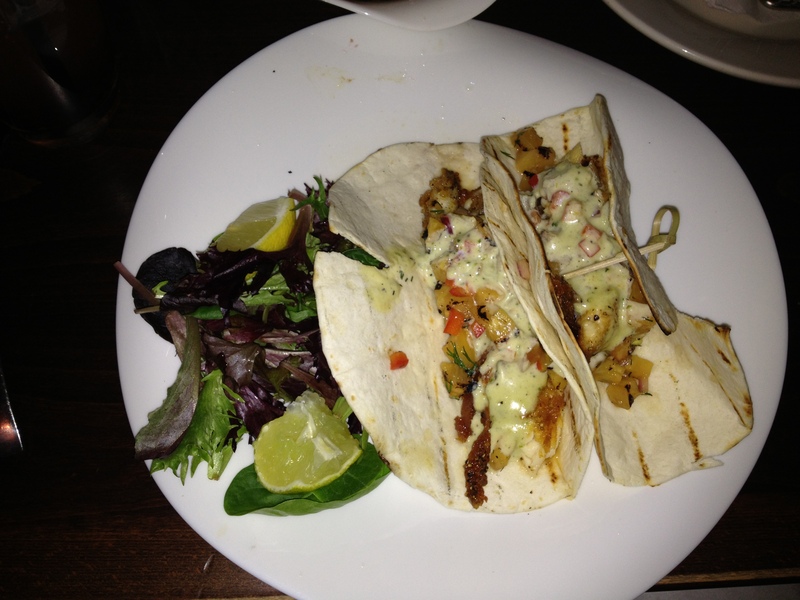 Em loved the fish tacos which were stuffed with grilled Tilapia, Mango Salsa, and a creamy Jalapeno sauce. 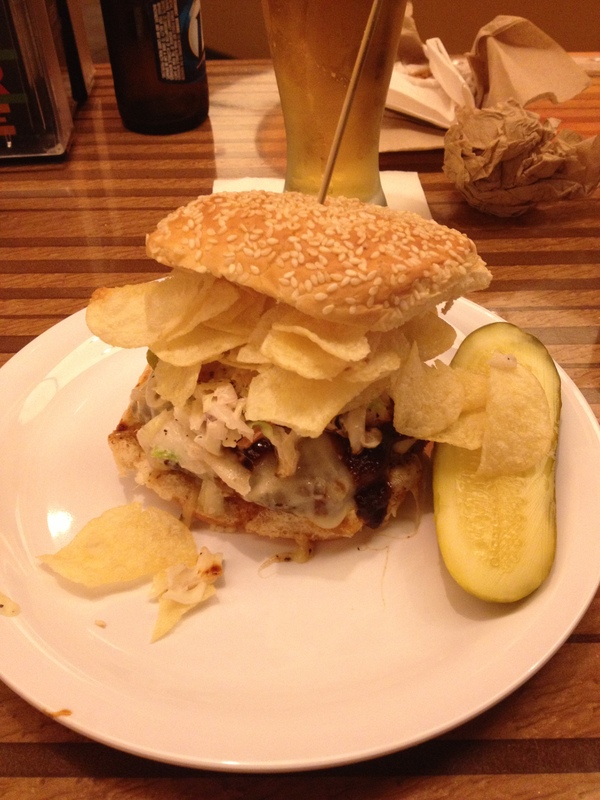 I couldn’t resist trying out the SoWe Burger after seeing someone else’s picture of it on Yelp. The fries were amazing. I somehow managed to cut my burger and take half home since it was so incredibly massive (a feat i attempt often but rarely accomplish). 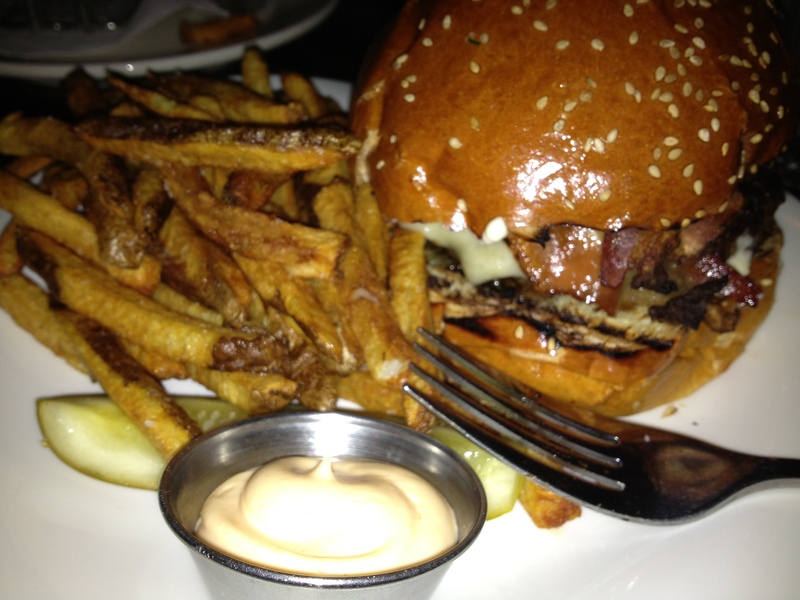 The signature 1/2lb burger comes on a toasted brioche bun. 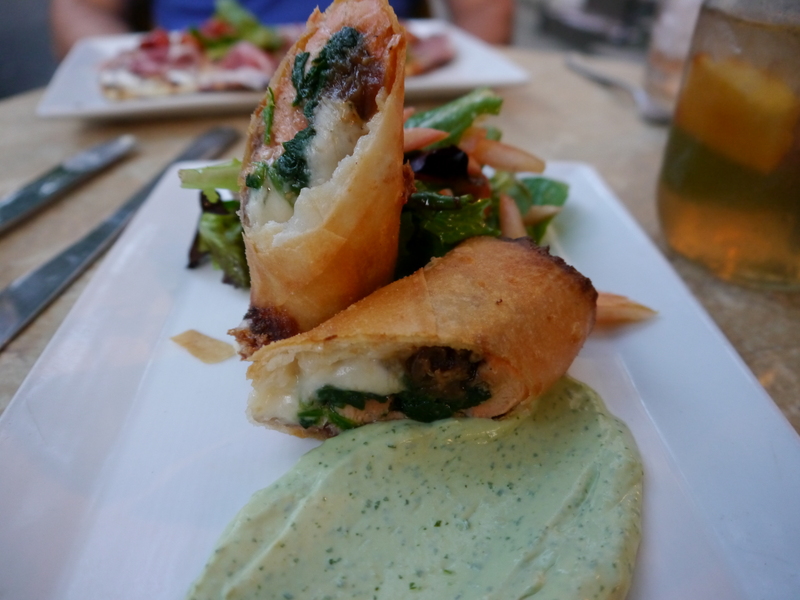 It’s stuffed with fried Peppers and Onions, Sharp Cheddar, Smoked Bacon, and a delicious Horseradish Mayo. 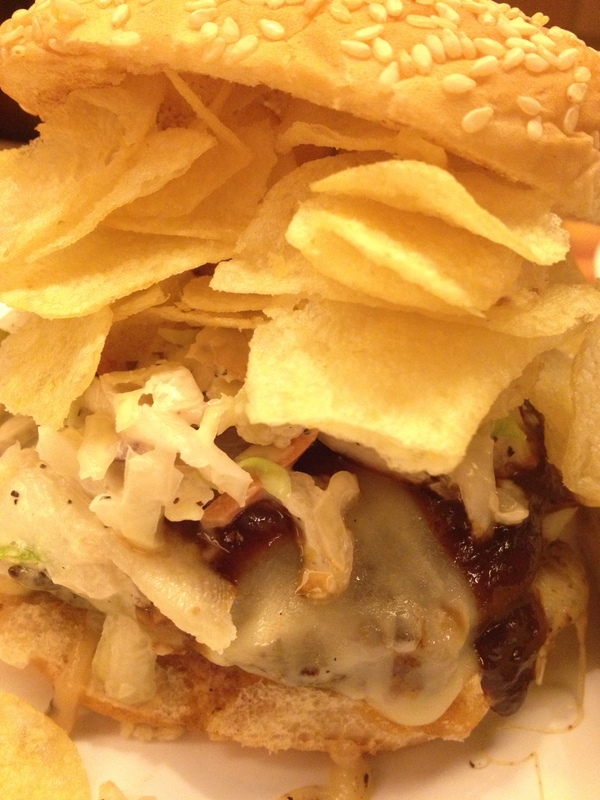 This is a burger you do not want to miss. OMG! 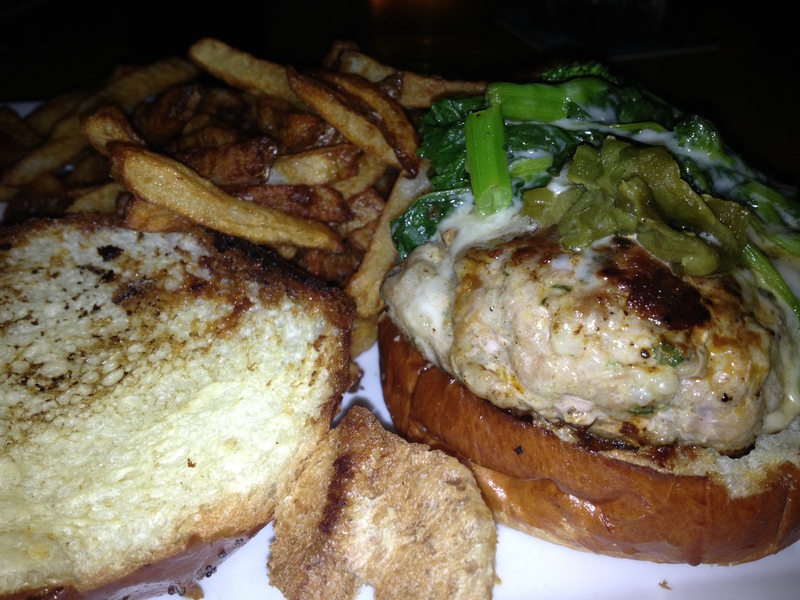 I think we did a pretty good job of finding a great neighborhood bar with yummy food and drinks! The atmosphere was laid back and the service was great. 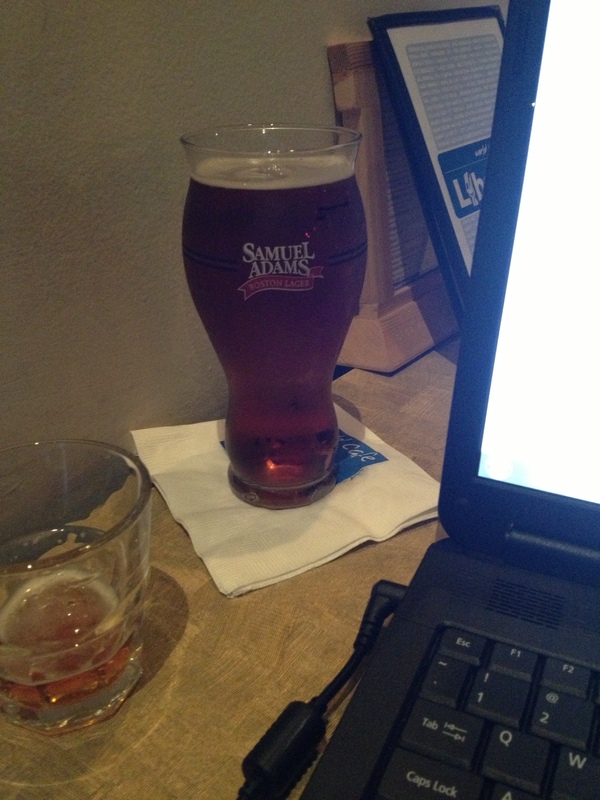 SoWe is a place I’ll definitely be coming back to… I’m thinkin’ next time for some Tuesday $1 Oysters and Quizzo! Have you been here before? 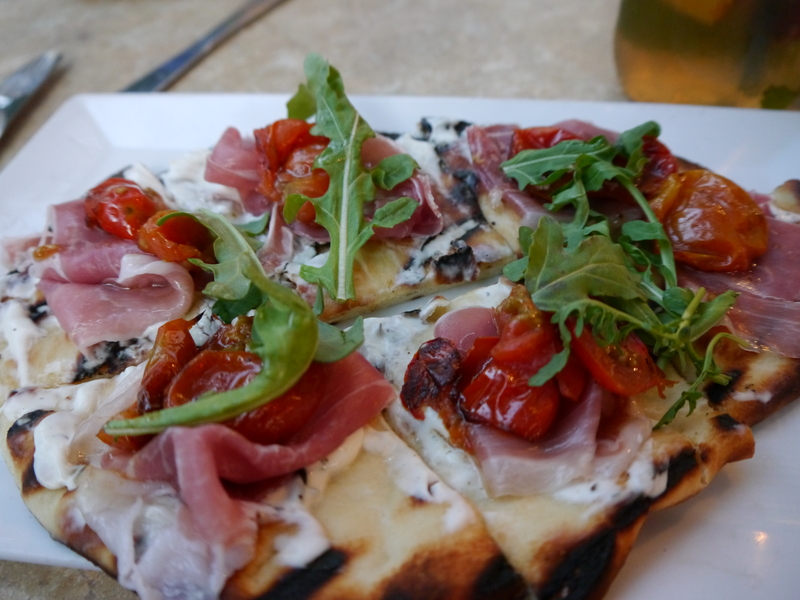 Check out these other great Restaurant/Bars!